Odalis Torres, left, and Carolina Sagrero are fans of the new vegan menu at Roosevelt High. 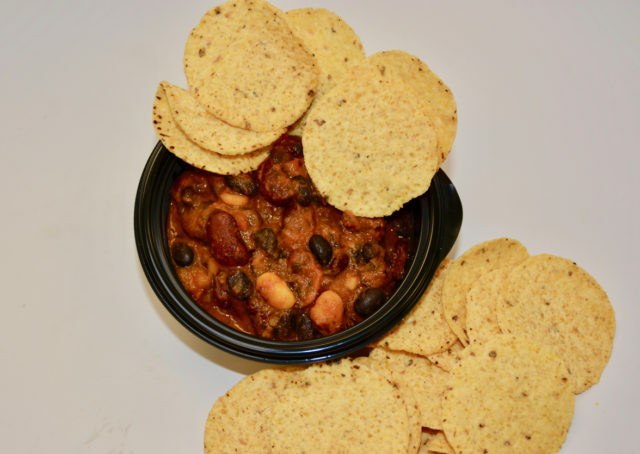 Carolina Sagrero, 16, is neither vegan nor vegetarian, but she sure likes the new vegan chili that’s joined the Roosevelt High School lunch menu this year. She’s now eating less meat and her mother is shopping for more healthy options for the family at grocery stores in Boyle Heights. 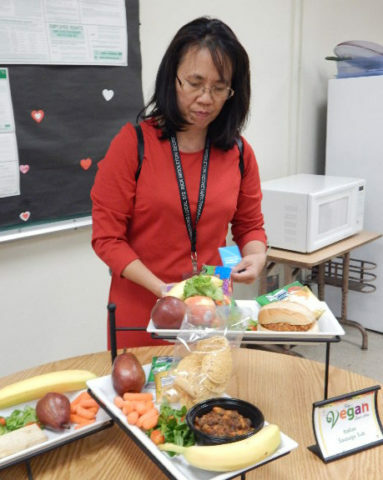 Adding a vegan menu option has proven so successful at LA Unified that the Food Services Division plans to suggest expanding the program to every school in the district by the end of this school year. It would be the first school district in the nation to have a vegan option in every school. The pilot program started in September by introducing a vegan menu at one school in each of the seven districts. 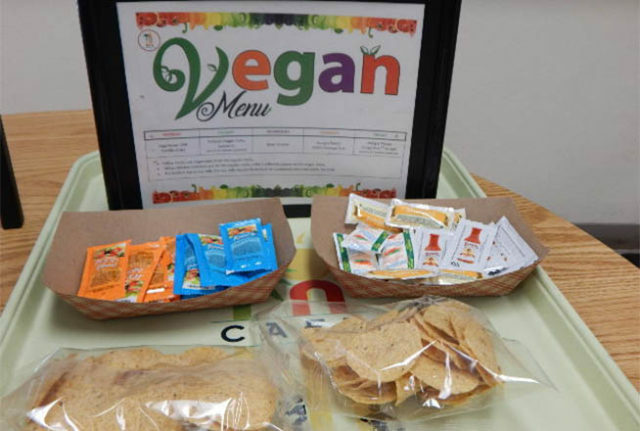 Without too much promotion, some vegan menu items have run out quickly because they are so popular, and students have asked for more options, even if they are not vegans. The students’ enthusiastic reception has surprised everyone from the head of the food services division through those dishing up the food. 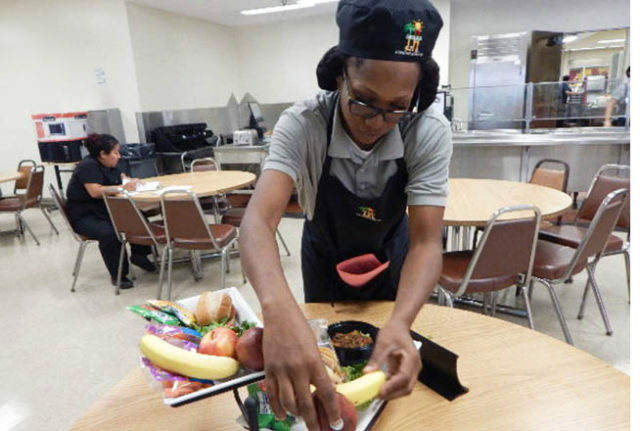 “It is exciting to see that students are trying something different for the first time,” said the district’s Senior Nutrition Specialist Ivy Marx, who has worked as a school dietician for more than 25 years. Students are choosing a vegan lunch option on average 13 percent of the time, and on some days more than half the students are choosing the vegan option, some preliminary district data show. In some areas of the district, the students like the tamale, even though it’s not like the ones they’re used to getting at home, Marx said. 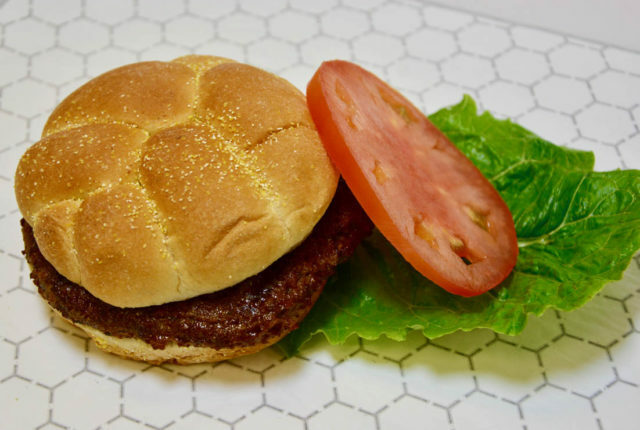 In other parts of the district, the vegan teriyaki burger is a favorite. Food Services Director Joseph Vaughn said he is committed to supporting the vegan pilot program and to its expansion — without increasing the food services budget, which he has been mandated to rein in. He now plans to “begin a strategic rollout of the vegan option” starting in January to 35 additional elementary, middle and high schools. Food Services will collaboratively work with local district to identify the 35 schools. The vegan pilot idea was championed by former school board president and vegetarian Steve Zimmer, who was voted out of office earlier this year, and sparked by sophomore Lila Copeland, who as an eighth-grader founded the nonprofit Earth Peace Foundation to push for vegan school lunches. 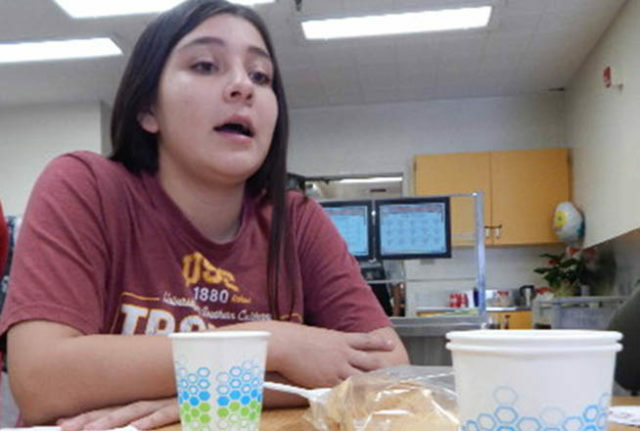 That’s what happened to 17-year-old Odalis Torres at Roosevelt High who is no longer eating meat after learning about healthy food choices in a health class at school. She said she got two football players to try some of the vegan options at lunch. “They were hesitant at first, but I got them to try it, and they liked it,” Torres said. Zitlali Sanchez, a junior, has been encouraging her friends to try some of the new vegan options at lunch. “If they try it at school, then they may be eventually changing their habits at home too, and maybe even getting the whole family to eat more healthy,” the 16-year-old said. 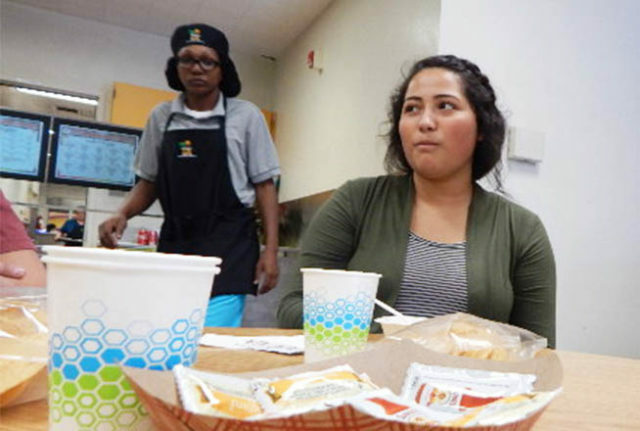 Roosevelt’s café manager, Kiki Tarrant, hasn’t seen such excitement about a menu change in her seven years in the position. In the pilot program’s first week at her school, she ran out of the 500 servings of vegan dishes. Lila has met with state and national leaders involved with student lunches who say they are making progress in getting California Assembly leaders interested in legislation that would introduce a vegan option statewide. Vegan options may soon be available in all LAUSD schools. Zitlali Sanchez and Odalis Torres said they will cut back on meat. The vegan teriyaki burger is a favorite. Ivy Marx, a food nutritionist, is pleased with the pilot program. 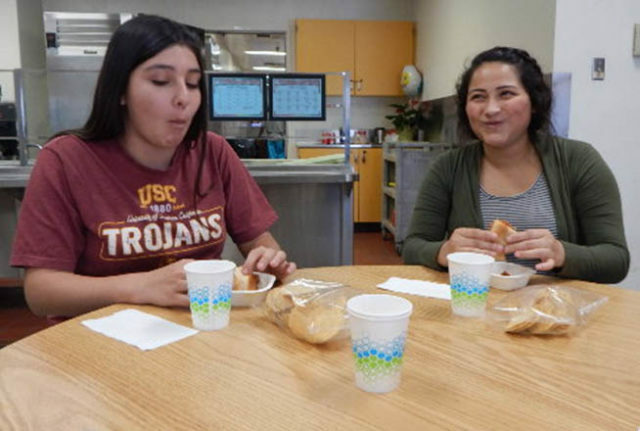 Odalis Torres and Carolina Sagrero told friends about the vegan items at Roosevelt High. 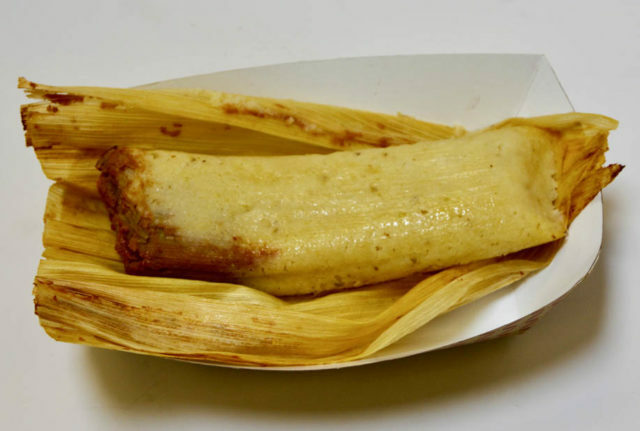 The vegan tamale is a favorite in some schools. Carolina Sagrero says she likes the vegan chili. Cafeteria manager Kiki Tarrant with Odalis Torres. Kiki Tarrant says she has run out of the vegan items on some days. The vegan chili is a big favorite. Zitlali Sanchez got some friends to try vegan food for the first time.